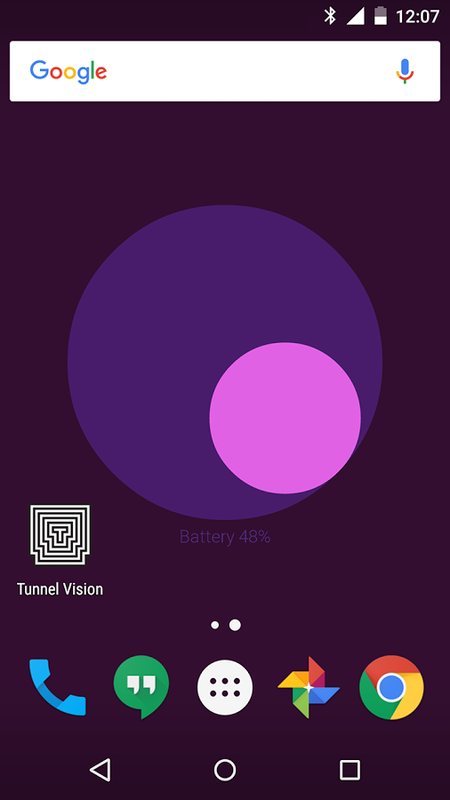 This data-driven live wallpaper displays the battery level, wireless signal and number of notifications of your device in a simple visualization. 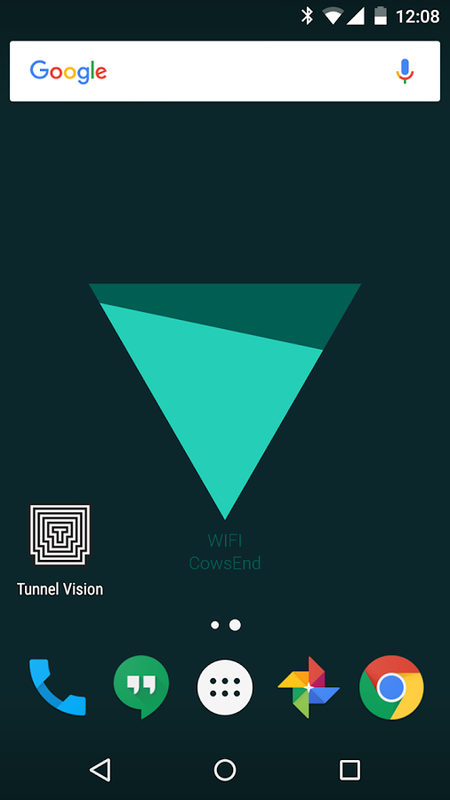 It cycles through three visualizations with every unlock, and each wallpaper can be manipulated by tilting and moving the device. 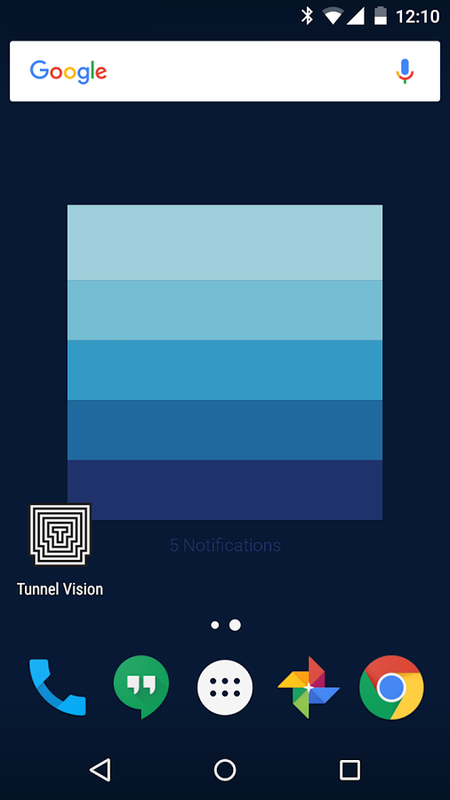 This simple ambient display creates a peripheral awareness of your phone’s status over the course of a day. Original design and concept by Mikkel Koser (http://www.mikkelkoser.com) with code by Jonas Jongejan (http://halfdanj.dk) and Kyle Philips (http://haptic-data.com). Open source code can be found at https://github.com/googlecreativelab/meter.